I’ve purposefully been elusive about my employment status. Family and close friends know most of what I’m up to, but even they haven’t heard the latest. So here’s a summary. Tomorrow is my last duty day in my current employment: as a temporary civilian instructor in the Department of Physics at the USAF Academy, teaching meteorology classes. Due to a somewhat-sudden active duty retirement among the meteorologists on faculty, I was brought on board just for the spring semester, to teach a couple courses and advise an undergraduate research student. It was a pleasure getting to teach cloud physics, radiative transfer, optics, and some basic remote sensing to junior-year cadets. The research student I advised was amazing, and it was an adventure getting her connections to data sources, and guiding her through her first poster presentation. It was strange not wearing my uniform but twice this past semester, since I had never gone more than about 3 months without wearing my Air Force uniform since, well…EVER! (Okay, not forever, but since 1995). We ensured my schedule was clear to accommodate this job by rearranging some duty time. My Reserve chain of command was very supportive. 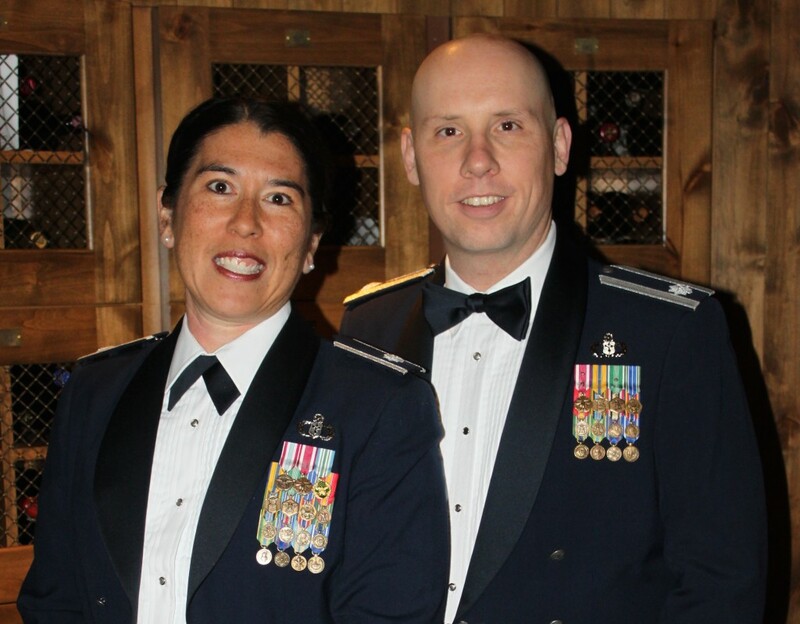 Last week I hit 20 years of service to the Air Force, by the way. Like my past couple of promotions, the milestone came and went with minimal fanfare. Which was fine. But it’s liberating to know now that if I stop having fun with what I’m doing…I will have earned a military retirement. Unlike active duty retirements, mine doesn’t become available to me until I’m age 59.5. I’m okay with that, I get to see my sons growing up. I’m still having fun. Lots of fun. 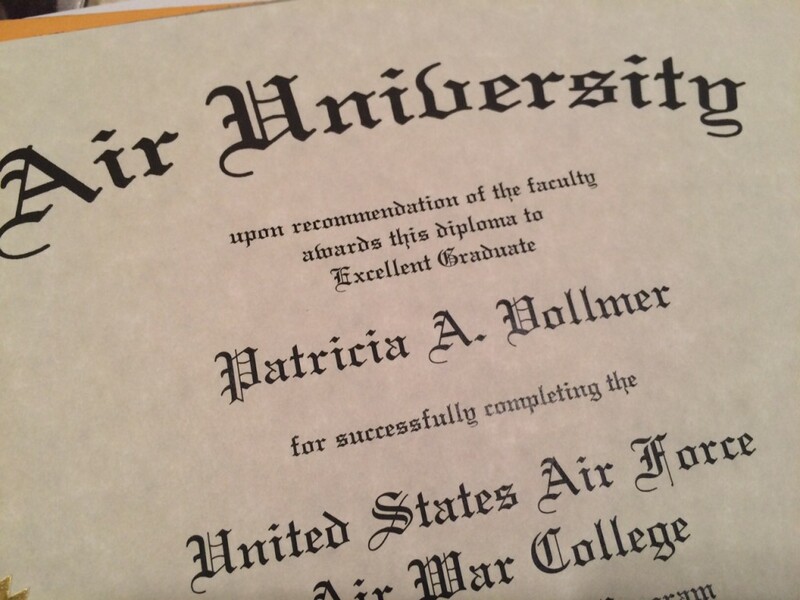 I also finished Air War College in April. That was a glorious feeling. While I usually love learning new things, I was simply not motivated to move quickly in this course, and the fact it was self-paced didn’t help. It took me about 2 1/2 years, which isn’t unreasonable compared to my peers, but still felt like a very long time. And my peers also enrolled in the class are mostly active duty, balancing this coursework with deployments. Finishing it opened the floodgates to all the books I’d been WANTING to read, but wasn’t allowing because I was supposed to be reading about air power doctrine, grand strategy, and lessons-learned from the Global War on Terror. I’d read 10 books since the first week of April, but now I’ve slowed down some since I’ve resumed A Game of Thrones, which is an 800+ page book. I am an “Excellent Graduate”, whatever that means. It certainly isn’t a “Distinguished Graduate”, which is like being a “made man” in the Air Force. After working full time since about mid-June of last year, I get a much-anticipated break for two months. But I don’t have time to sit around and eat bon-bons. I have a mile-long to-do list around the house, from cleaning out the boys’ books, clothes, and toys (donating to Jacob’s Boy Scout Troop’s annual rummage sale in a couple weeks)…to cleaning out the garage…to cleaning out our vehicles…to getting some work done on the house: carpet cleaning, tree removal, hardwood floor refinishing, kids’ physicals, and (last but not least!) finishing up our (Mostly) DIY kitchen remodel. I am still involved in the GeekMom blog, for those who were wondering. I had been quiet lately, as my primary (paying) job took up more of my time, but I’m now getting back into reviewing products and fulfilling periodic editor duties. 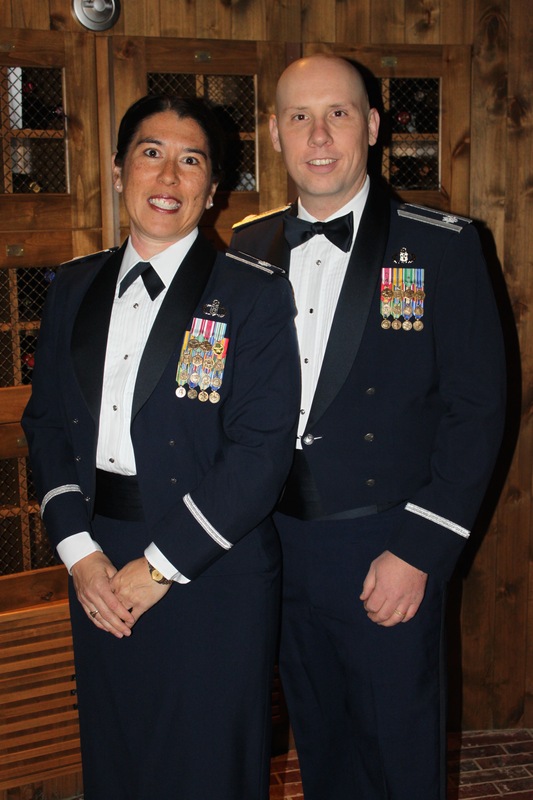 In mid-July, I’m donning my uniform once again and will be heading back to the USAFA math department to teach freshman calculus. Our sons have continually said “It’s okay” when I ask their opinions of my full time work, and sometimes I wonder if it’s harder on me than it is on them regarding how much I miss spending time with my boys. They’re growing up crazy fast now, with Jacob turning 13 later this year…and experiencing the growth spurt that comes with it. He and I now wear the same shoe size, which will be nice for some Chuck Taylors he asked for this spring, but doesn’t seem to wear too often. Timmy is also getting taller by the minute. He is downright slender now himself, with his legs seeming to dominate things. Both boys have earned very high marks in school, and Dave and I couldn’t be more proud of them. They still both look forward to school every day — which is more important to me than the grades they earn (don’t get me wrong, if they’re capable of high grades, I expect it, but not at the expense of loving to learn new things). 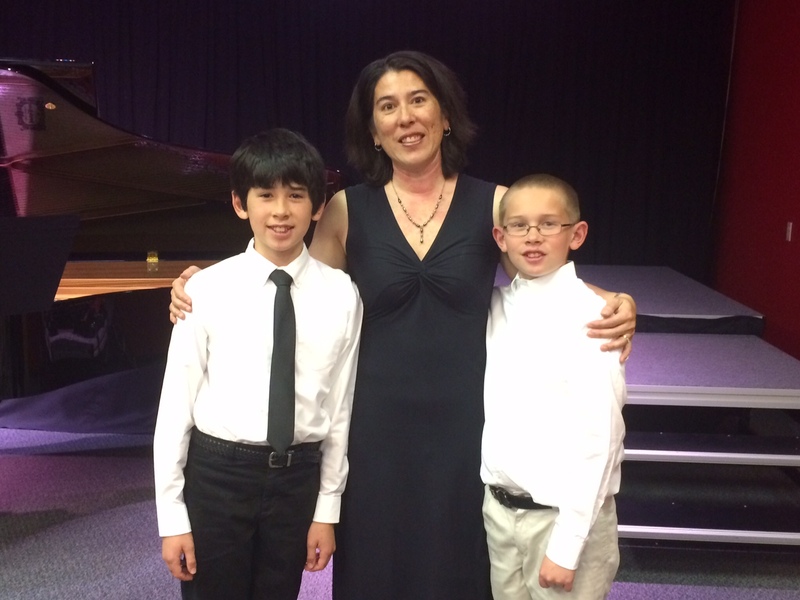 My boys and I at their piano recital, May 2nd. As you know, I’m usually the one behind the camera. I’m in 3 or 4 inch heels, so you can get an idea of how tall Jacob is now. Probably 5’2″. Photo taken by Dave. They continue to enjoy video games and playing Nerf blaster wars in the backyard. We have a fun summer planned, with a trip to Denver Comic Con Memorial Day weekend (our whole family got press passes for the weekend; I will have a lot of writing to do next week! ), a family Cub Scout campout the following weekend, and our annual trip “out east” in late June/early July. For the first time…perhaps ever…I didn’t put the boys in any formal summer programs. In between all the travel and housework, the boys and I will just relax!